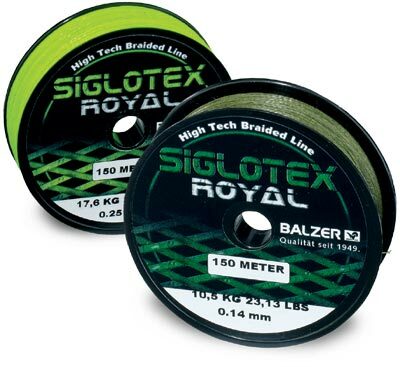 Siglotex Royal. Discounts Apply ! This new, braided high performance line is the logical further development of our well know Siglotex. It was possible to boost the nensile strength again and the braiding was optimized. Made in Germany.